Corrosion. It’s a test for all outdoor structures, particularly in coastal regions, and Landmark Products is a specialist in designing and building to withstand such conditions. It therefore went against the grain when a client asked Landmark to build “rusty”. 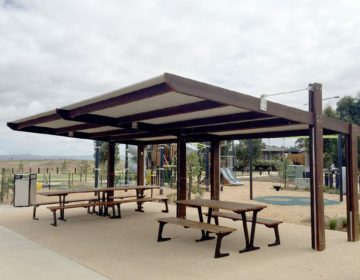 The Moreton Bay Regional Council sought to revamp a local, popular skate park, and to keep a consistent “urban” theme, and to deter graffiti, requested two park shelters to be finished with a rust effect, courtesy of a Dulux product. The two 6 x 4 metre K653 King Shelters were delivered flat-packed and ready to assemble to the skate park, with the metal rafter and column of the cantilever structure already treated with Dulux Design Rust – a two-step process which gives the look of rusted iron and creates an “industrial appearance”. The Design Rust Effect component of the Dulux products provides the base, and the rusting effect is activated with the Design Rust Effect Solution. Be assured – the rafter, column and purlins – are hot-dipped galvanised, and although the structure looks corroded, it’s solid and all be sheltering skaters for years to come. The structure was secured via bolt-down below the slab, delivering a secure, clean finish with no trip hazard. 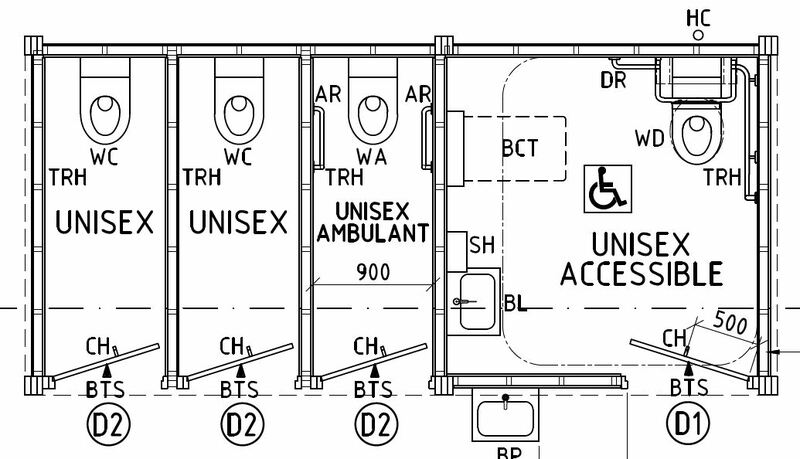 According to the local patrons, the shelters are “sick”.